This edited collection challenges the urban-centric nature of much feminist work on gender and education. The context for the book is the radical reconfiguration of rural areas that has occurred in recent decades as a result of globalisation. 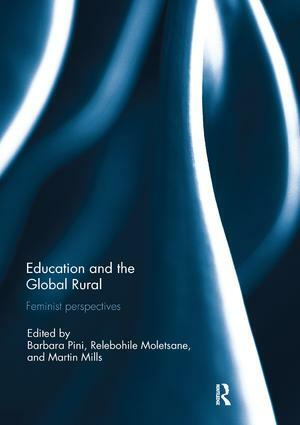 From a range of diverse national contexts, including Kenya and South Africa, Australia and Canada, and the United States and Pakistan, authors explore the intersections between masculinity, femininity, and rurality in education. In recognition of the heterogeneity of categories such as ‘rural girl’ and ‘rural boy’ they attend to how educational exclusions can be magnified by differences in relation to social locations such as class, race, or sexuality. Similar critical insights are brought to bear as authors examine what it means to be a male or female teacher in rural environments. Contributors draw on data ranging from contemporary feature films to historical materials, along with detailed ethnographic work and participatory approaches, to produce a compelling narrative of the need to understand education as experienced by those who are not part of the urban majority. This book was originally published as a special issue of Gender and Education.